This week I am not going to be out in the vegetable garden because we have a symposium on and I am doing to cooking. I enjoy this week in many ways. One is that I have great vegetables to use, these I have grown. The meals are vegetable based. I love fennel. It does so much better for us in the south of England in spring and autumn. I now really think it is a waste of time growing in the summer. It is far to prone to running to seed when let dry out a little too much. Weeding can be a great time to get your head down and have some quiet time. I do find that I lose myself in thought while weeding, you cover a lot of ground and the day passes very quickly while in this state. I now have the rhubarb patch ready to cover in mulch. After traveling so much in the past six weeks or so it was great to be back in the soil today, getting the garden in order for the autumn. I am going through the whole vegetable garden. Today I started at the rhubarb area. 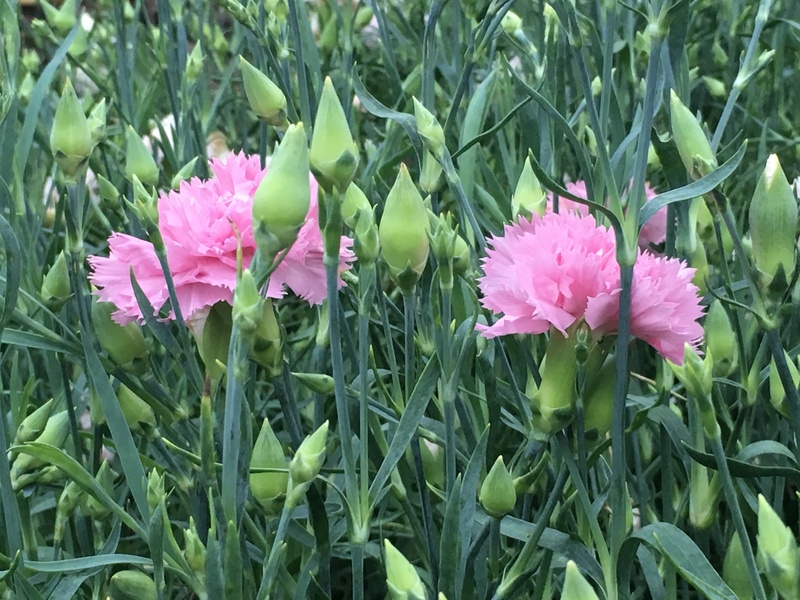 My joy in the vegetable garden at the moment is the dianthus I grew from seed in the spring, both colour and scent. It was a great honour for me today to go and give a talk at Gravetye Manor. It has become a place of great inspiration for me and I am always very happy to see what Tom and the team are up to in the garden and get ideas for the vegetable garden here at Great Dixter. The tomatoes had just started to get blight so while I had the time I took the plants out. Once plants get blight it is only a matter of time before there is nothing left. I was able to get some good fruit off the plants while taking them out. It is great to be back in the garden. It is really starting to feel a lot like autumn over here. Thomas has kept the garden in good order. The tomatoes are going to need to be taken out this week.